Senator John McCain says he's decided to support the Senate tax bill. The Arizona Republican's announcement gives a boost to GOP leaders hoping to push the measure through the chamber this week. McCain says the tax legislation is "far from perfect." But he said it would spur the economy and ease the tax burden for middle class families. 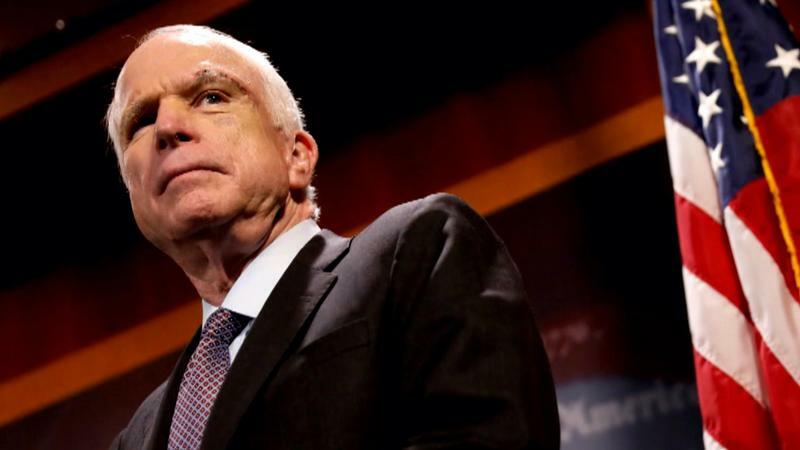 McCain was among three Republicans who helped derail the party's effort to repeal President Barack Obama's health care law last summer. He's battling brain cancer. McCain had expressed concerns about the measure's impact on federal deficits. It's projected to add more than $1.4 trillion in red ink over the coming decade. Republicans control the Senate 52-48 and can lose only two GOP votes and still prevail, assuming solid Democratic opposition. 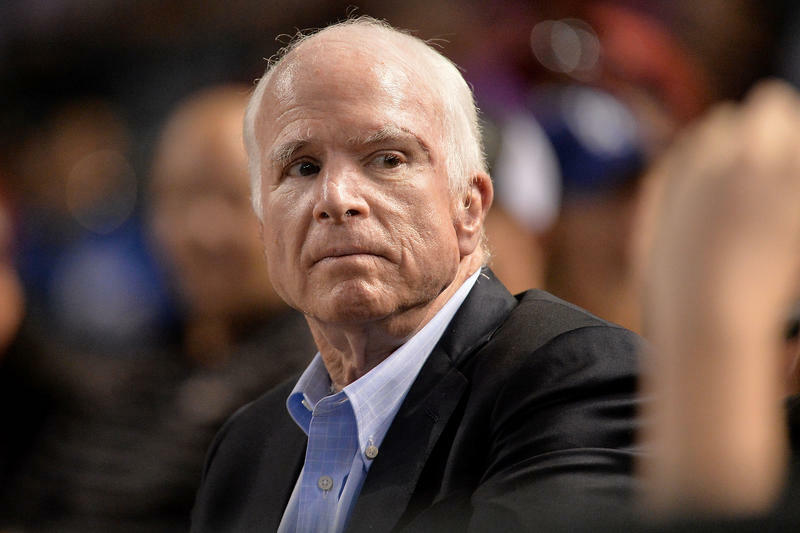 The City Council has unanimously voted to begin the process of naming a terminal at Phoenix Sky Harbor International Airport after Arizona Sen. John McCain. 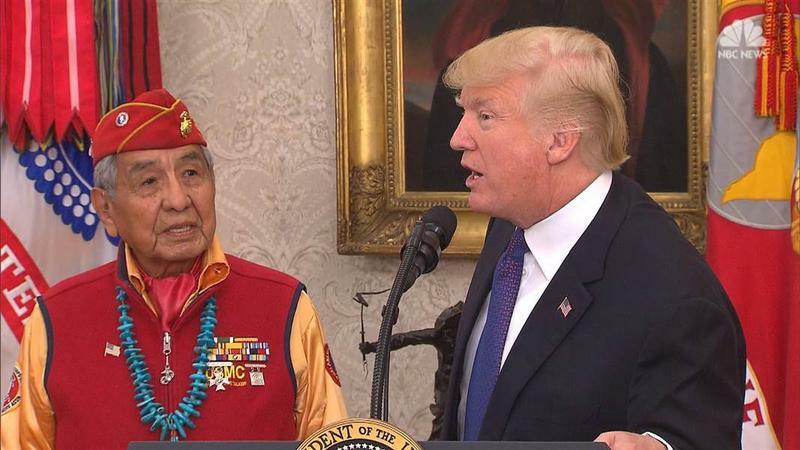 Republican Sen. John McCain of Arizona is tweeting that President Donald Trump's "politicizing" of a ceremony honoring Native American veterans was "an insult to their sacrifice." 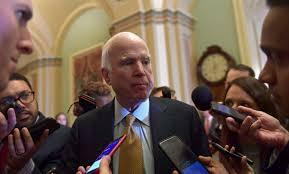 Sen. John McCain says he won't vote for the Republican bill repealing the Obama health care law. His statement likely deals a fatal blow to the last-gasp GOP measure in a Senate showdown expected next week.